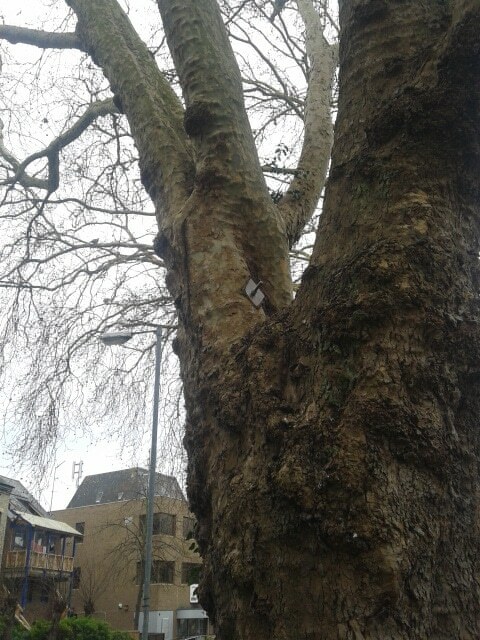 A successfully bolted tree to prevent further branch failure. 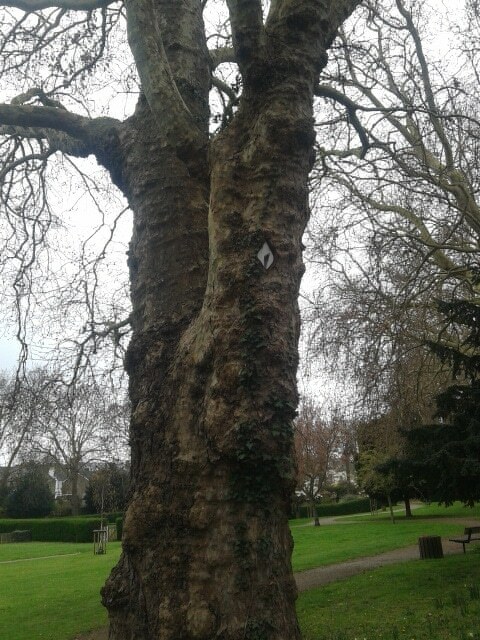 This tree has had a partial branch failure in the past, and as a result it was bolted to hold the limbs together. The bolting was successful as the tree has put on sufficient wood to hold the limbs together. Appropriate intervention at the appropriate time will usually lead to the retention of important trees. This intervention must be based on good knowledge of what measures are available and the experience to know how to use these measures, as well as what outcome to expect. Always choose a professional and experienced arboriculturist.